I used the same Loraine Quiche pastry and changed the fillings to spinach instead of bacon bits and onions ;p . I love this crust..it was the nicest crust I ever had . :)) Do try this quiche crust and you will know what I mean ;p haha I was amazed how much energy I still have left after working through my work project to bake these quiches....err supermom or what , I have no choice for I had promised Jo that I will bake the quiche for her . She loves her godma very much...haha I will never be jealous of that coz her godma loves her very much so it is only natural that Jo loves her much too :)) Don't worry , my baby loves me very much too lol! one I will surely make again...thumbs and toes up! 3.Grease the 9” tart pan with a detachable bottom . 4.Put the dough in and press till the whole tart pan is lined with the dough. 5.Beat the eggs together with the fresh cream , add in the mozzarella cheese, grated cheddar cheese and spincah to the egg mixture and mix together till well combined. 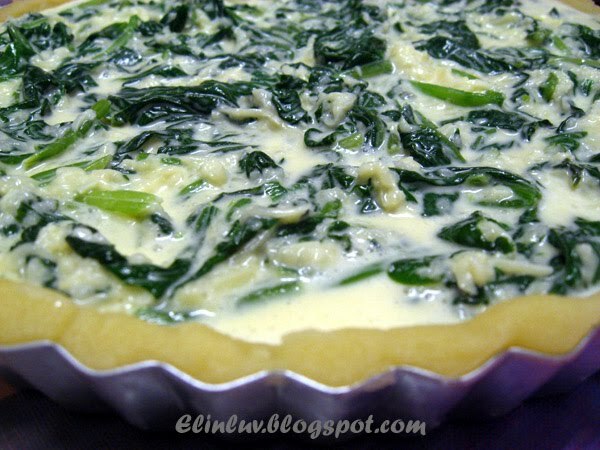 6.Pour the filling mixture on the crust and spread out evenly. 7.Bake the quiche for 30 minutes or till evenly browned. Leave to cool for a few minutes, then serve with salad of your choice. 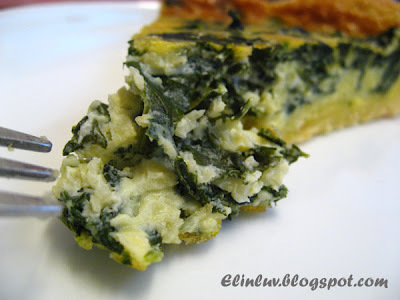 Spinach quiche..wow.. this must be original! I am so blessed that I can be able to taste it tomorrow... my nutritious breakfast, yes! I used to make this almost twice a month. ;0 I usually make it with salmon or Asparagus...really yummy. ;) I guess the challenge would be not getting a soggy crust base..yours looked good. ;) Thanks for refreshing this recipe. I had made this before, that was very long time ago and I had lost the recipe. 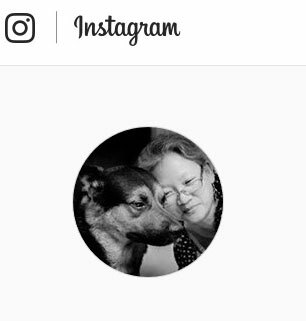 Good to see your post. Thanks for sharing Elin! u make me so hungry!!!! This is wonderful. I have all the ingredients. I gotta so make this and share it with my new vegetarian housemate! Thank you for sharing Elin! 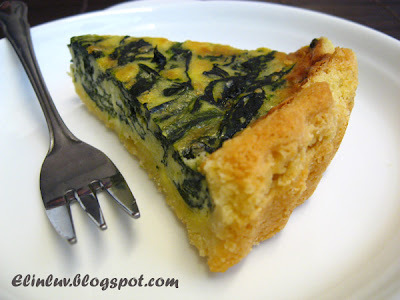 This spinach quiche looks very tasty! I've been long long time didn't make this. Thanks for your inspiration. Will find a chance to make it. Cheers! 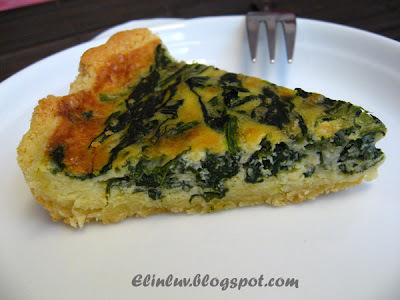 in fact, I never make quiche at home before, after see this yummy quiche, I tell myself I must try this soon. Cheddar in the crust? I'm already hooked! Hi Claire...how was the quiche..you ate them :p ??? Hi Angie....haha ya, you should try it out..who knows it may work! Hi Kristry..I did it and Claire is the guinea pig...haha she hasn't comment on it yet after I gave her some to try out lol! Hi Little Lamb...virtual food is not tat bad...it inspire one to bake :)) hope you will try it out. Hi Quinn honey...you are welcome , do try it out and I am sure your housemate will love it . 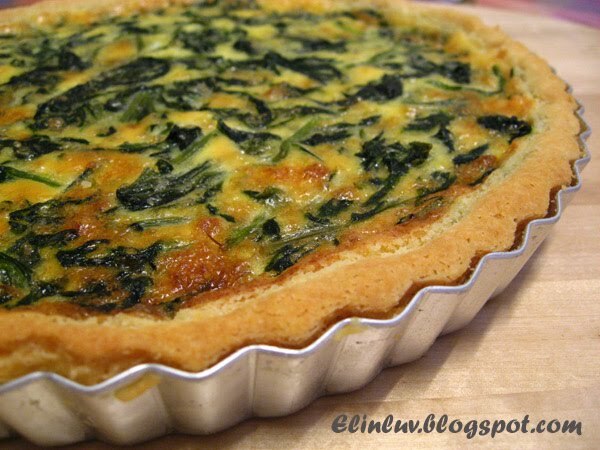 Hi Sonia....oh if you have not tried making quiche...then you really must try this out..the cheddar crust is a winner alright. Fillings you can make mushrooms, asparagus or bacon. Your children will love it I am sure. 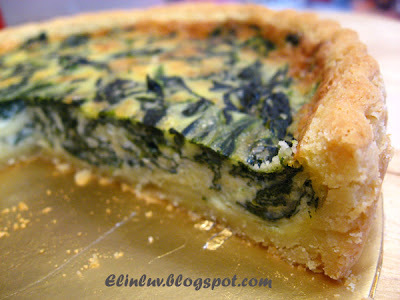 Lovely, it's rather hard to find quiche in bakeries nowadays, esp in Ipoh.